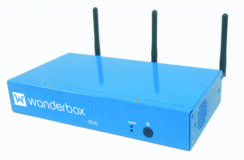 Wanderbox and Com.X(G) Integrated Access Gateway’s provide secure and managed voice and data services for the SMME. A powerful and flexible IP Gateway now! Upgrade with PBX features when required. Hardware obsolescence is so last season. A powerful and flexible IP Gateway now! Upgrade with PBX features when required. Hardware obsolescence is so last season! Small business universal connnectivity solution! Upgrade to PBX with Wanderweb UC&C when required.